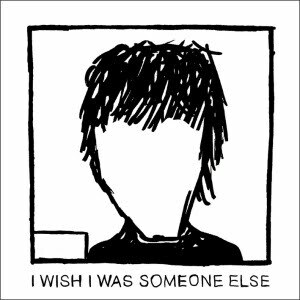 On his brand-new album I Wish I Was Someone Else, German singer Patrick Zimmer alias Finn employs a well-tried, though not very well-worn concept when covering mostly so-called classic radio smash hits from the 70s and 80s, Lo-fi production style. Flogging braindead horses like I Shot the Sheriff or Tina Turner’s Private Dancer bare bones folkie-style doesn’t make them the slightest bit more thrilling … in short, it’s all going nowhere in a hurry. With the exception of a quite upbeat cover of Ne dis rien, originally rendered by Serge G. and Godard favorite Anna Karina in 1967, in some studio booth Serge mistook for a boudoir again. Finn’s partner in crime is a sweetly knowing, sadly anonymous, and surely German female voice. Must be the way she walks: Who’s that girl? At the reception after yesterday’s royal wedding, Sir Elton John told William, Katie, and the French ambassador a fascinating story. While driving along the promenade of St. Tropez in 1980, he was so overwhelmed by a chanson on the radio of his Ferrari Testarossa that he pulled to the side of the road to listen. 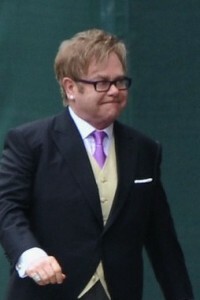 On the air was Janic Prevost’s synth-driven disco-pop drama J’veux d’la tendresse; Elton was so moved that he covered the song a few months later, in English as well as in French for the Gallic edition of his 1981 album The Fox. The French ambassador had to admit he wasn’t familiar with Mademoiselle Prevost, and shook his head again when Sir Elton hummed the tune for him. Slightly frowning, William grabbed his fourth champagne flûte from a lackey’s tray, while Katie said she had heard that melody before: Wasn’t it called I Will Survive? Charles Aznavour? Wasn’t that the somewhat square old entertainer in the grey suit you saw on dozens of awful tv shows all those years ago? Maybe. Aznavour also was Charlie, the forlorn dude in Truffaut’s Tirez sur le pianiste (see pic) who smoked all those cigarettes like nobody had it done before, shared the bed with Michèle Mercier and Nicole Berger, and murmered some of the coolest lines ever to be uttered between love and loneliness („Silence is amorous complicity“). Sadness was also one of the keywords in his chansons, as well in Que c’est triste Venise, a sentimental kitsch masterpiece remade by the equally great Bobby Darin in 1965, U.S. grand scope showroom heartbreak style. Bonus: The Other Serge revealing where to find the gondolas of your mind. 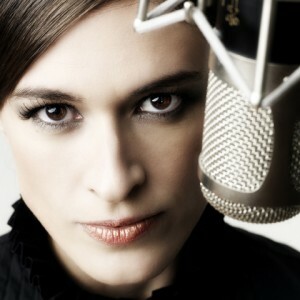 Eva de Roovere worked with an impressive guestlist on her new album, Mijn huis (My house). Impressive if you’re Dutch, that is. Spinvis plays, wrote arrangements and a song, Thé Lau duets and Piet ‘Ozark Henry‘ Goddaer also contributed a song. Superproducer Reyn Ouwehand was at the controls. 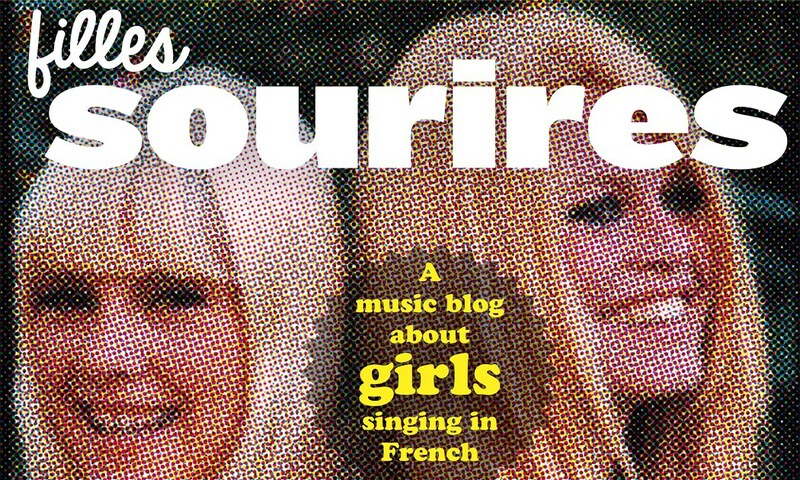 The reason she pops up on this blog is not only her delicate voice, but the fact that she sings two songs in French. By the way, this isn’t the first time this charming fille pops up on FS; she sang a song referring to Serge’s Je suis venu te dire and translated a track by FS-fave Shivaree. This time, she translated a song by Stephan Eicher (to Dutch) and sings a song written by Seb Duthoit (with whom she duetted earlier) and a track written by Kit Hain and Francois Welgryn. The latter, Chocolat, is honey to my ears. It’s an ode to various types of chocolate: ‘Un désir que je n’contrôle pas’. I’m pretty sure there’s no double entrendre here – though one never knows. When you hear Eva sing ‘Gelukkige verjaardag’ (Happy birthday) on the Will Tura-tribute, you can imagine how JFK must’ve felt when Marilyn sang her song to him. Alas, GRAM (aka Marg van Eenbergen, former singer of this band) doesn’t sing in French. But the intro-tape to her live-shows features ’69 Année Erotique’ by Serge & Jane. Her new single is very much inspired by ‘my female French collegues’, she said. I’m thinking Mareva Galanter, France Gall and Jeanne Cherhal. That single, the summer-anthem Play Me, is a free download on her site (where it says ‘downlaod hier de single’). Higly recommended! See a live version here. Free mp3 on her site. She looks and sounds so much like Adele, you can understand why there’s a big buzz around Juliette Katz. This article says she’s de coup de coeur of singer Alain Souchon, that she signed with a good record label and that Sia is a guest on her album. Parts of which were recorded in New York, with producer Scott Jacoby. Albin de la Simone lend a hand, so did Bardi Johannsson. If you google her, you get this acoustic session, this coverversion and this interview (for a series of talks with ’round’ girls). First single Tout le monde sounds promising – nice groove, not too poppy, touches of Fender Rhodes piano and some Hammond. Looking forward to that album. This could be big. Photo by Steph Dray, stolen from here. Brigitte – great name for a female French duo. Just like Serge is a great name for a music magazine. The blonde and the brunette, Aurelie (or should we say Mayane?) and Sylvie, first popped up on this blog in 2009. A few posts below, Misterblog is saying that the irresistable Battez-vous is getting more and more airplay in France. Summer-hit? You guessed it. The first full album is out now, it’s called Et vous, tu m’aimes? That kicks off with Battez-vous, and includes their rework of NTM’s hiphophit Ma Benz (fabulous Brigitte-video here). There are several interludes, ‘hidden tracks’, a song consisting of titles of Claude François-chansons (very funny) and an ‘English song’ to end all English songs by French artists. 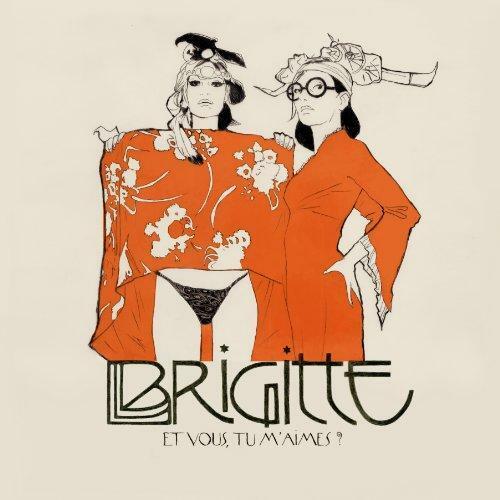 Battez-vous is by far the best track on the album, but the groove of Oh La La got me hooked as well. And then the full album by actress Melanie Laurent rattles your mailbox. The girlfriend of Damien Rice (first featured here) sang on some soundtracks. The acoustic music (lots of guitars, piano and strings) and her voice reminds me of Berry. Which is nice. There are two duets with Rice on the album (he sings in English on both, she on one), every song has a little je ne sais quoi, a melody, a vocal thingy, that makes them more interesting the more you listen to ‘m. Yearlist-stuff, people. Several songs can serve as summer-hits. Je connais, for instance. Or the more uptempo, soulful Kiss.